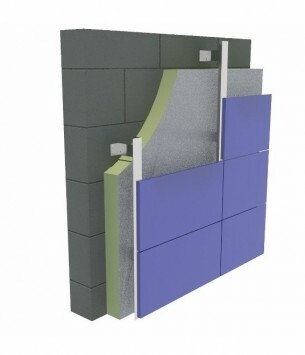 Acoustical foam – wall’s family of barrier products are well designed noise barrier composites designed to provide high Sound Transmission Loss to most low frequency applications. How can you easily make car rides more comfortable? Car soundproofing. Acoustical Foams Acoustic is the worlds leading manufacturer and distributor of soundproofing and sound absorption products – your “one stop shop” for sound solutions and Acoustical Foams. 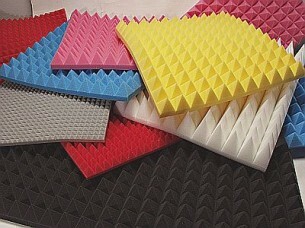 Acoustical Foams - a foam for every need! Acoustical Foams Acoustic is the worlds leading manufacturer and distributor of soundproofing and sound absorption products - your "one stop shop" for sound solutions and Acoustical Foams. 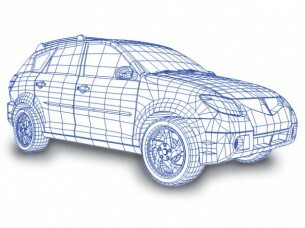 What is Sound and how can Acoustical Foams help you? Waves have amplitude (volume) frequency (pitch), wavelength (speed), etc. In air 331 meter per second (mps) creates something of a “chain reaction,” If you watch this closely, you’ll notice that the wave forms because an individual air molecule gets a push, which causes it to push on the air molecule right next to it. As each air molecule recovers from its push, the wave passes. Acoustical Foams products include sound absorbing panels, acoustic wall and ceiling tiles, acoustic doors, acoustic diffusers, acoustic fabric, sound absorbers and sound absorbing foam. These acoustic products help to reduce noise problems such as echo and reverberation and sound transmission. © 2013 Acoustical foam. All Rights Reserved.